Today findings from the annual National Bowel Cancer Audit have been published. 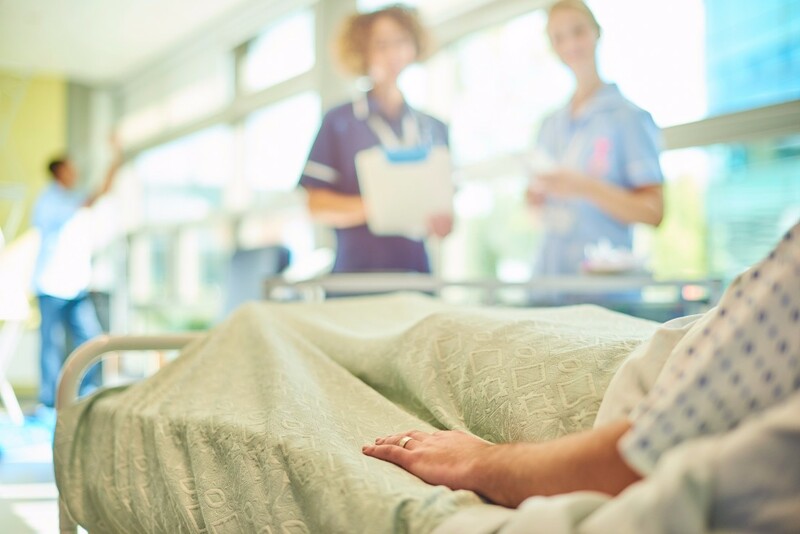 The audit, which aims to improve patient care measures and compares the diagnosis, treatment, and outcomes of 30,000 bowel cancer patients across England and Wales and suggests changes to improve care for people with the disease in the future. Patients diagnosed through the National Bowel Cancer Screening Programme are more likely to be diagnosed at an early stage of bowel cancer compared to patients diagnosed as an emergency. 23% of patients aged 60-74 and therefore eligible were diagnosed via screening. Over half of patients (55%) were diagnosed following a GP referral and further 20% of patients were diagnosed in an emergency presentation such as A&E. Only 3 per cent of patients diagnosed with bowel cancer between 1 April 2015 and 31 March 2016 died within 90 days of major surgery. This has improved year on year from approximately five per cent in 2011-12, representing 200 to 400 fewer deaths from surgery per year. The use of keyhole surgery has increased year on year over the last four years and now over half (54%) of patients having major surgery to remove their tumour are operated using this less invasive approach which tends to have a shorter recovery time. A small proportion of operations that are attempted with a keyhole approach will have to be converted to open surgery during the procedure (this has remained stable at around 8%). Amongst patients having surgery to remove their stage 3 bowel cancer - cancer that has spread outside the large bowel into surrounding lymph nodes – over half have chemotherapy after their surgery to reduce the risk that their cancer will come back. Guidelines say that chemotherapy after surgery should be considered as an option in these patients, and the decision should be made after discussion between clinicians and the patient. Two-year survival rates for all patients diagnosed with bowel cancer have remained stable at 67% since 2011. “The National Bowel Cancer Audit is the only comprehensive review of bowel cancer treatment and care in England & Wales and has a vital role to play in transforming the quality of care that patients receive. It’s only by looking at what is working successfully and what works less well, that problems can be identified and evidence-based recommendations can be made. “While it is encouraging to see two year survival rates have not dropped, there is still more work to be done to ensure that survival increases over time and early diagnosis is critical to achieving this. The audit shows that the proportion of screen detected cancer in those of screening age has remained relatively unchanged from the previous year, at about 23%, and that this varies hugely across England and Wales. Yet we know screening gives the best chance of an early diagnosis, with more than nine in 10 surviving if diagnosed at the earliest stage. Furthermore, emergency presentation is still a huge area of concern, with 20% still being diagnosed in this setting. The audit categorically shows that outcomes for these patients are considerably poorer than those diagnosed through screening. They are less likely to be treated with curative intent, more likely to be diagnosed at the later stages of the disease and as a result have poorer survival chances.